In advance of this year drawing to a close, it’s the perfect time to look back at what just might prove to be the most significant actions that Apple has taken in the past 12 months. One of the biggest trends for Apple over the past decade has been increasing the amount of the iPhone that it designs itself. That’s gone way past the surface level, and even past decisions as central as the CPU, all the way down to designing individual chips that handle specific subsystems. iPhone XR launch in London. In October, Apple made a deal with Dialog Semiconductor that had a couple of far-reaching consequences. Not only did Apple license technology from Dialog—whose power-management systems have been used in iPhones going back to 2007—but it also ended up bringing over 300 Dialog engineers who have mostly been working on iPhone power management chips already. On the face of it, this $600 million deal might seem like pocket change to Apple, with its $237 billion in cash. But, of the company’s acquisitions and deals of which we know the full amount, this marks Apple’s second largest, after the purchase of Beats back in 2014. That just reinforces that this isn’t merely a toss-off or an acquisition that makes Apple’s life slightly easier. No, the company knows that the biggest battlefield of technology over the next several years is going to be battery life. Now that we have all this multitude of devices that require constant power, how does the company keep the number of usable hours at a maximum? Short of a major revolution in the science of batteries—and don’t think Apple isn’t deep into exploring that—eking the most power possible out of their current power systems is going to be one of the company’s top engineering priorities going forward. 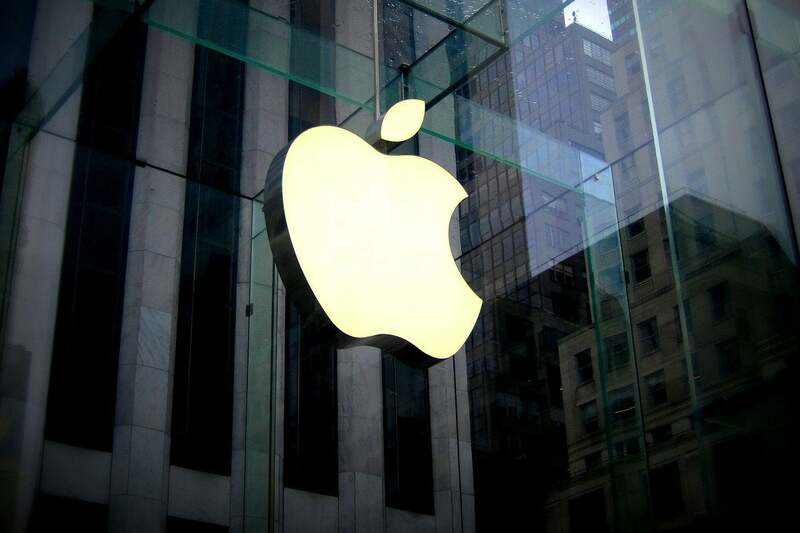 In November, Apple dropped a surprise announcement on its quarterly financial conference call: the company would stop publicly releasing unit sales information about its products starting in the new fiscal years. 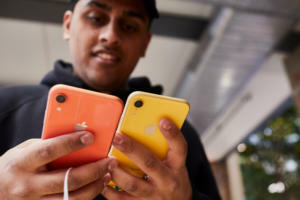 There are as many different opinions about this move as there are iPhones that Apple (possibly) sells in a year, everything from the company hiding flattening iPhone sales to simply not wanting to give rivals any more strategic or competitive information than is strictly necessary. The truth, honestly, is a little bit of all of that. iPhone sales are probably going to level off. Does that matter? It may not, as the company has started to rake in much more money per iPhone on average than any sales loss will likely cost them. Revenues, in other words, should continue to grow, and Apple’s point is that’s all that should really matter. Most of its competitors don’t release unit sales. Why should the number of iPhones (or iPads or Macs) Apple has sold impact consumers, if the company is fundamentally financially healthy? Don’t be mistaken: bottom line, this is good for Apple because, well, if it wasn’t, Apple wouldn’t do it. But it’s also a clear chance for Apple to try and shift the narrative away from one of its favorite topics: hearing incessant rumors about iPhone sales. Get used to hearing the Luca Maestri saying “As you know, we don’t report individual product unit sales” during those conference calls. Never taken a shortcut before? September saw the arrival of iOS 12, macOS Mojave, and the rest of Apple’s major software releases for the year. Among the many new features, one stands above the rest in its significance, despite the fact that a great deal of its functionality isn’t even included in the OS by default: Siri Shortcuts. Siri’s importance to Apple has been obvious over the past several years, as it has eventually found its way into every product that the company made. But despite its prevalence, one thing that’s been lacking is integration with the vast majority of apps on iOS devices—namely, those made by third parties. That changed with Shortcuts, which let third-party apps build in (admittedly rudimentary) support for triggering certain features using Siri. 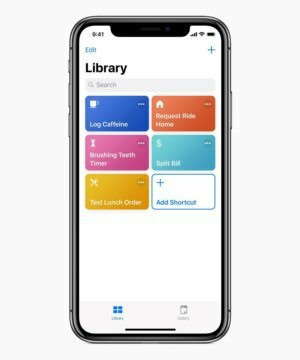 Moreover, the Shortcuts app for iOS lets users create complex workflows (appropriately, since it’s based on the app Workflow, which Apple acquired), enabling the kind of scripting and power features that have been sorely lacking on Apple’s mobile platform. And it’s clear that it’s just the beginning. Apple is expanding its Siri team, including hiring a number of people to work on third-party integration via SiriKit. Apple’s focus on virtual assistants, voice interfaces, and the rest are all about one thing: making the complex simple. 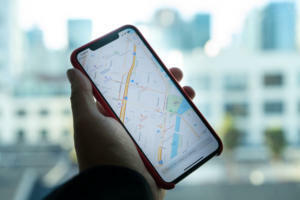 That’s a technological philosophy that Apple has had ingrained since the beginning, and Siri Shortcuts are the latest example of how it’s working to accomplish that. There were plenty of other significant Apple announcements in 2018: a revamped MacBook Air, new iPad Pros with an accompanying Pencil, the iPhone XS and XR, and the arrival of the HomePod, just to name a very few. But the company’s not out of steam yet. We already have an idea of some moves the company is expected to make in 2019, so next week we’ll take a look at what we should be looking out for in the year to come.